We spent another day hiding from the heat. Took Arayo for a real swim. The river was dirty looking but full of people swimming. I didn't notice 3 eyes on anyone so guess it was safe. The Newfoundland came out in her, though, as 2 young men came to the water's edge with 3 inner tubes. That bothered her - seeing them drifting off down river without her there to save them..... Or maybe she suspected that the third tube, which held the ice chest, was full of beer. She LOVES beer! 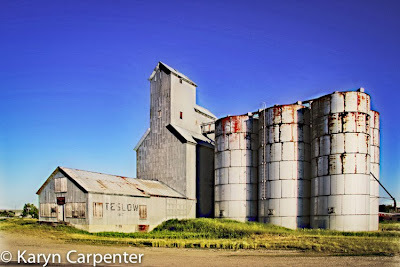 Photo - When I entered 3 Forks the first thing I saw was this great old grain elevator. I quickly pulled over and made some photos. Was glad I did because when I left town an hour later they have posted some wild artwork up on the front of it. Kinda lost its charm for me. 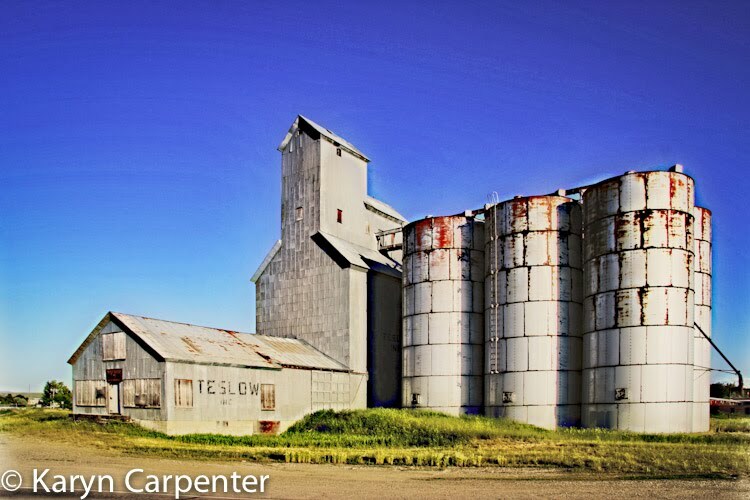 Like you, I appreciate the grain elevators undecorated. Good girl Arayo - protect and serve!